Two recent graduates of the Western Australian Academy of Performing Arts’ dance program, Briannah Davis and Olivia Hendry, are the artists behind new dance theatre collective Not Sold Separately. 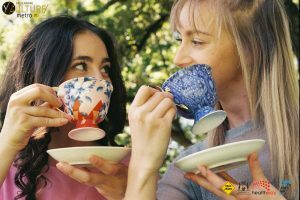 Amy Wiseman chatted to the pair about their upcoming debut season “ceilings.”, and how they have navigated the transition from training to profession. Olivia Hendry and Briannah Davis. Photo: Sarah Sim. Amy Wiseman: Tell me about “ceilings.” and the two works you are presenting within this program. Not Sold Separately: “Drug Aware presents: ceilings.” is a double bill encompassing two new dance works: Bloom, choreographed by Briannah Davis, and No Mandarin’s An Island, choreographed by Olivia Hendry. We have joined forces as Not Sold Separately because we are interested in similar subject matter – expressing the female experience. We feel it is important, both for our own artistic careers and for those of our peers, to provide a platform for young female voices to tell their stories through multidisciplinary performance. Both works feature all-female casts of recent WAAPA graduates, along with collaborating composer Annika Moses. Bloom (Davis) explores how we support those we are close to in times of need; falling apart and building each other back up again, influencing our personal growth. No Mandarin’s An Island (Hendry) focuses on the “islands” or states of existence we inhabit, based on life’s experiences. Quirky, disarming and evocative, the work is jam packed with ideas exploring togetherness, isolation and how we choose to take up space. AW: What made you decide to present your own independent season outside of the Fringe World umbrella? NSS: Fringe is such a bustling time of year in Perth. We felt this work was at risk of being lost amongst the bombardment of material that is produced at that time. We are also both involved with another performance collective called SYNDICATE, that presented during Fringe, and we felt “ceilings.” deserved our undivided attention. We saw an opportune space in the calendar for April, when we knew our voices would be heard, as well as allowing ourselves the appropriate amount of time to really refine our ideas and present them in a sophisticated way. AW: What are some of the challenges you’ve come across as young emerging choreographers and producers? And any wins? NSS: Our biggest challenges have arisen on the producing side of things, as opposed to choreographing. Basically, every choice we make and every obstacle that presents itself is one we have not faced before – so there is a learning opportunity around every corner. Perhaps the most startling challenge has been selling tickets and expanding our viewer demographic. 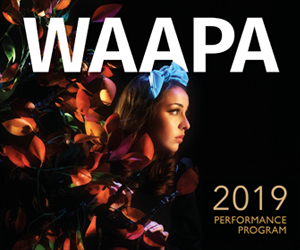 We have amazing amounts of support behind us from connections made at WAAPA, but we are new to the broader independent performance community. Our biggest win has been receiving a Drug Aware YCulture grant through Propel Youth Arts WA, which has definitely helped us to stay afloat and learn all the varying aspects of show-making as they occur. AW: What would you say is the most difficult thing about the transition from student to professional? OH: I think what’s most difficult is coordinating schedules. Once you leave the university bubble, you realise that not everyone exists in the same time frame as you used to, so getting a cohesive cast together and finding the (often unpaid) time to work on the project is a challenge. It takes a lot of sacrifice and forward thinking. But with experience and understanding it becomes more manageable. BD: I think often the hardest part is believing in yourself. As a student, the professional world seems daunting and out of reach. However, anything can be achievable if you give yourself the chance to actually try it. I know I still have a long way to go but choreographing and producing our own show has given us so much insight into how much work goes on behind the scenes, and I know that learning these skills straight out of university will help me continue making and dancing into the future. AW: What advice do you have for other aspiring choreographers and/or future graduates? NSS: Just put yourself out there. There are so many artists who have come before you, who are incredibly generous with their time and want you to succeed – we have been blown away by the support we have received. You just have to be present, show your face and ask. Take risks worth taking, take matters into your own hands, and know that right now is your time to learn and grow – so use it wisely. ceilings. plays Studio C5, Huzzard Studios April 4-6. Pictured top: Olivia Hendry and Briannah Davis. Photo: Sarah Sim.